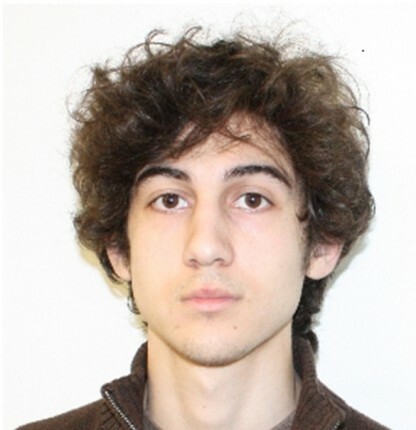 You’re looking at the face of the kid the Boston paramilitary police were hunting for. By the time they found him hiding in a boat, his brother had been killed in a firefight. Children of one of imperialism’s most brutal conflicts, five thousand miles from their parents, drifting in a place not quite home, it’s easy to imagine how they went astray. How do kids like that not go astray? Едет автомобиль. В нем сидят – дагестанец, чеченец и ингуш. A Dagestani, a Chechen, and an Ingush are riding in a car together. Question: who’s driving the car? Magus (?) answers: the police. Just a silly political joke for a central Asian audience. Not long after, the Chechen who posted it found himself being driven to the hospital under arrest. Our country has had its fair share of crazies and murderers in the news in recent years. For some reason, this most recent (alleged) bomber has evoked a more sympathetic response from me than usual. Sure, the guy could be genuinely evil. But my guess is that more likely he is genuinely confused. Pray for the kid. Good or bad, he’s going to need it. This entry was posted in news, the editorial page on April 20, 2013 by Josh Hansen. Do you ever feel that the previous generation just sees you as another potential acolyte to be indoctrinated and enlisted to fight the next big ideological war? In several situations I have felt like that. These were in linguistics, in economics, and—of course—in politics. In linguistics the philosophical divide basically shakes out as the rationalist, pro-Chomsky forces vs. empiricist, post-Chomsky linguists. The core classes in the BYU linguistics program teach Chomsky, plain and simple. But, in the senior seminar class we learned about the First and Second Linguistics Wars. These were bitter ideological struggles that tore the discipline in half twice in as many decades. It was Chomsky vs. the World, and Chomsky won… sort of. He won rhetorical victory at the cost of turning linguistics into a no-man’s land. When we in the linguistics major learned that the minimalist grammars, the autosegmental theory, all of it that we had learned and had confidence in, were essentially the victors writing the history books, the attack plan of true believers in the reigning theory-as-doctrine to scorch earth in the battlefield of undergraduate minds, we lost faith in it. It was disillusioning. And so did the more reasonable part of the field of linguistics: people turned to other things, like corpus linguistics or statistical modeling. Economics is in a lot of ways more empirically grounded than at least Chomskyan linguistics. Yet it, too, suffers from the distortions of ideology. Reading about the current economic crisis, I see one group blame excessive regulation, and another group blame insufficient regulation. Same discipline. Same data. Opposite stories. Was Keynes a hero, or a villain? An awful lot of name-calling goes on on some econ blogs. I’d like to see less ad hominem and more thoughtful analysis. And, of course, politics. The ideological problems afflicting economics are but one front in a multifarious war that’s been raging for generations. I’m really tired of trying to figure out what position to take on a given issue, only to realize that the two sides (how come things always get reduced to two sides? why not three, or a hundred?) have been totally co-opted by the belligerents. So, if I think any policy protecting the environment is a good idea, I’m a sinister agent of the Left? If I think government should balance its budget, I’m a Republican hack? No. I’m just this guy who got thrown into this complex and wonderful world where everyone wants him to join their side, everyone wants to be right, but nobody really seems to care about discovering what’s really going on. With so much spin, it’s easy to get dizzy. I know I get sucked into taking sides in ideological disputes all the time. My opposition to the bailout is a good example. But there’s a better way. So what can we do to keep from oppressing the next generation with our own ideological obsessions? Well, if you ever find yourself defending or attacking an idea or plan or program, stop. Attack and defense are for fighting wars. Discovery and explanation are for truth-seekers. Seek truth. This entry was posted in economics, politics, the editorial page on January 11, 2009 by Josh Hansen. Change. Things are changing. Some of these are unhappy changes, and in many ways the world seems to be falling apart. The whole mood is that we have been much more than we ever will be again. The incoming president promises change as well. The change of progress to counteract the change of decay. We expect that he and his administration will change things as diverse as health care and the conduct of war. We expect more people than in two generations to receive employment from government work programs. Many things will change. But if this is all that happens—acknowledgment and then reluctant acceptance that the world and its things have changed around us—then nothing, really, has changed at all. If we remain the same, then all of the chaos and churn swirling around us will be repeated over and over in an unending cycle. Working to change our world is necessary but not sufficient; if we want that change to last, then we must change as well. In The Consolation of Philosophy, Boethius opines that those who rely on the caprice of Fortune have no peace. It is only those who allow themselves to learn from Philosophy, or wisdom, who can ride out the storms of life with tranquility. As great and powerful as we think we are as civilizations and nations and individuals, we would be unforgivably arrogant to believe we can really control the world around us. The screams of traders as they watch fortunes in paper vanish in seconds; the troubled faces of presidents, bankers, and bureaucrats using policies to glue pieces of sky back in place before they fall; the dark humor of new graduates facing a hostile job market: are these people really in control? No. Not of things. They—we—influence our environment, but ultimately it is what’s going on inside of our hearts and minds and souls that is ours to order and direct. We should all ponder this as we fall Icarus-like from the heights of our conceit. And, once we land, let us remember it before we try to build any more towers to heaven. So let the markets fall and the sky with it. And amidst the collapse, may the illusion of control crumble and give way to humility. Let us not love our own prosperity, but instead love our neighbor. And perhaps amidst all of this unwelcome change, as familiar things disappear and old ways are lost, we will find something we’ve long since ceased to know: ourselves. This entry was posted in the editorial page on December 19, 2008 by Josh Hansen.